Edward M. Rogers, Global Strategy Manager; UPS Corp.
Ed Rogers is a global strategy manager with UPS Corp.'s corporate strategy group. He is responsible for global scenario planning, enterprise strategic planning, and the company's sustainability strategy. He has 29 years of experience in industrial engineering, management consulting, program management, business process redesign, operations improvement and strategic planning. 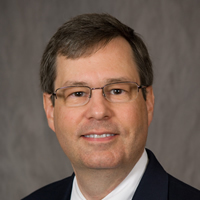 Mr. Rogers joined the UPS corporate engineering group in Atlanta in 1994, helping to establish an internal consulting group, a process reengineering team, and a program management group. After rotating through special assignments in the Mid-South, in 1999 he became the Industrial Engineering Manager for the Gulf South district. In this role, he led the operational planning, productivity improvement, service quality enhancement, and technology support for that district's $200 million annual business. In 2002 he returned to headquarters to join the corporate strategy group. Prior to joining UPS he first served four years as a U.S. Air Force officer and worked as an engineering management consultant. He has a Bachelor of Science in Industrial Engineering from Georgia Institute of Technology, a Master of Science degree in Engineering Management from the University of Dayton and an Executive master's in International Logistics from Georgia Institute of Technology.